Something to look forward to: Have you ever found yourself frustrated with Google Maps, walking the wrong way when the blue dot thinks you’re somewhere else? 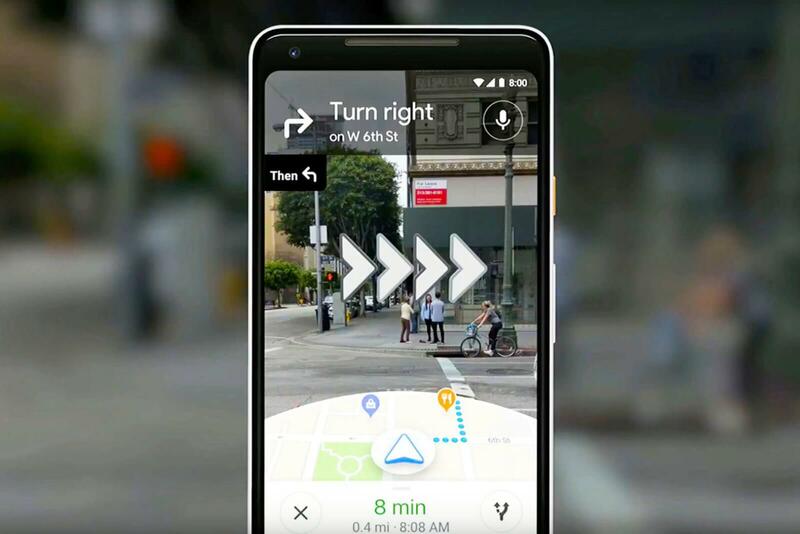 If so, you’ll be pleased to hear that Maps’ augmented reality feature will soon roll out for some users, offering directions that are overlaid onto a phone’s camera in real time. While the feature still relies on GPS to find out where you are, it uses Street View data to pinpoint your location. The app then brings up 3D arrows to show clearly which direction you should be walking. The system will also be able to point out landmarks, restaurants, and businesses in cities where it’s active. The feature isn’t meant to be used for lengthy periods. To ensure it doesn’t consume your battery and data allowance—and for safety reasons—users will be reminded to lower their phone if it’s been held up too long. Ignore this warning and the screen will eventually go dark. The WSJ’s David Pierce notes that the feature will likely end up on the AR glasses that many companies are currently either working on or selling. As for those who often find themselves lost in a new city, the AR interface can’t arrive quickly enough.